New Workshops: Nose/Scent Work training as well as Hoopers. Hoopers workshops Saturday 11th May 2019 at Westfield stables, Steeple Aston, Oxon. 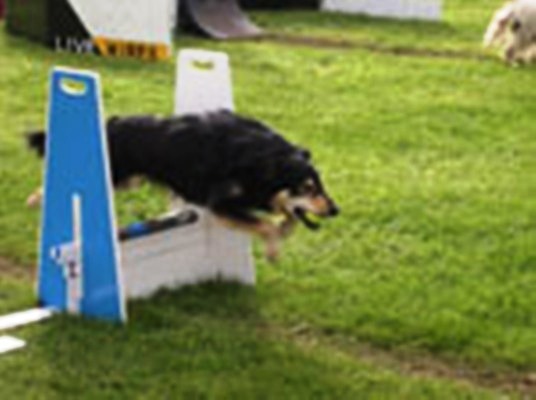 Hoopers is one of the fastest growing UK Dog sports. Dogs run through hoops and tunnels and around barrels. These two workshops are for any dog, new to Hoopers or already doing Hoopers. The dogs can be large, medium or small and any age (minimum of 6 months and fully vaccinated, there is no upper age limit). Dogs who are retired from agility can do Hoopers. It is a low impact sport and can improve your distance handling which means it is great for all handlers and their abilities. New and experienced dogs are welcome, but places MUST be booked. Graham Tappin from GemGray Dog Training Club is one of a handful of Canine Hoopers UK Accredited Trainers. He will be training us for these workshops. Scent work is a natural occupation for your dog. It uses its nose to learn about the world around it from who or what has just walked along the path, sniffing out drugs, to telling their owner they have a low or high blood glucose as in people who have Diabetes. 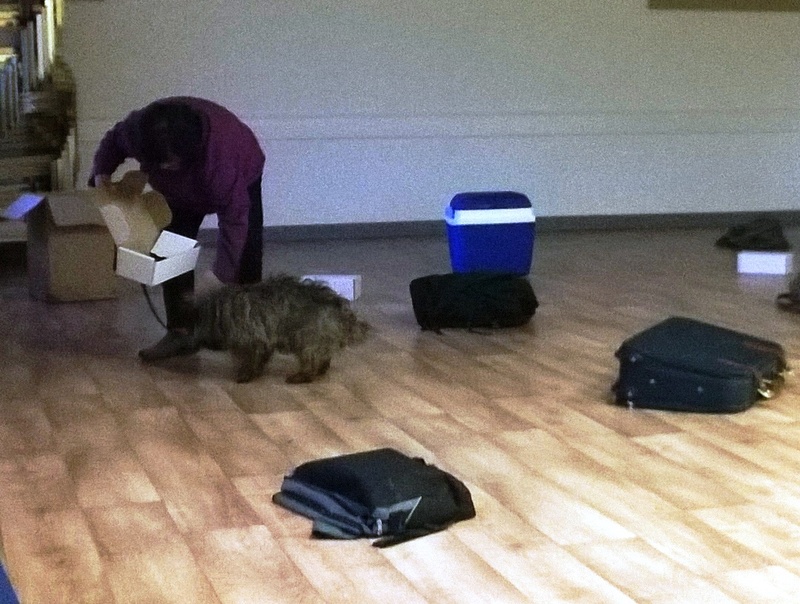 In these workshops we will teach the dogs to find a specific scent (in this case first sausages and then Cloves) and for the dog to indicate to the owner that it has found the scent hidden in boxes and luggage. Dogs will learn 'Odour Recognition' and be able to find the hidden scent. Owners will learn how to read their dog's body language indicating the dog has found the scent. New dogs welcome. The courses are for any dog, big or small, old or young (minimum age is 4 months and fully vaccinated). There is a maximum of 10 dogs for these workshops. Places must to be booked for this course. L ouise has competed at Crufts Heel Work To Music (HTM), won many competition in both Heel Work and Freestyle as well as being a very talented Trainer is coming to Oxfordshire on Saturday 25th May 2019 to share her knowledge of Heel Work To Music (HTM). All dogs are welcome (must be at least 10 months old) so if you have never tried HTM before you are welcome. Equally if you are competing, you are welcome to come along. We can look at Freestyle as well as HTM positions, Or if you have become stuck with something in your routine. For the new handlers Louise can teach you some new 'tricks' e.g. twist or twirl', begging, give paw, dog walking in front of you or on the right hand side of you, leg weaves, etc. The list is endless, Louise will be able to help y ou. Any suggestions from those attending the workshop will be welcome? All dogs are welcome big, small, pedigree or cross breed. Dogs must be at least 10 months of age. Those new to Heel Work To Music are most welcome as are those more experienced HTM handlers. In this workshop Lesley will help the newer recruits to the sport develop basic moves and behaviours and build a strong handler/dog partnership. More experienced handlers will concentrate on choosing suitable music, a theme or story and identify appropriate moves to plan and develop their performance effectively. Motivation and fun will be a key element for all. All dogs are welcome big, small, pedigree or cross breed. Dogs must be at least 10 months of age. Those new to Heel Work To Music are welcome as are those more experienced handlers. There are places for 15 dogs and Handlers costing £40 per dog on a first come basis or unlimited spectator places at £15 per person. Only dogs working on the course will be allowed in the hall. Places need to be booked. Contact Jennie ockcairns@yahoo.com for a booking form. Once the place is booked the booking fee is non-refundable except under exceptional circumstances. This is a club where you can make new friends, have fun with your dog and get help to sort out any problems or concerns you might have. Our aim is for you to have a well behaved dog and to teach you responsible dog ownership. We take any size of dog- small, medium or large and any type be it a cross breed or a pedigree. We train for Obedience, Agility, Hoopers, Flyball and Scenting. This club was set up over 15 years ago by Jennie Fairweather. Jennie has lived with, shown and bred Cairn Terriers for over 30 years and currently lives with three. Not only does she show them, she also trains them in Obedience, Agility, Hoopers, Heel Work to Music (doggy dancing) and Flyball as well as Tracking (i.e. following a human scent) and to Scent (like the Customs & Excise dogs) . 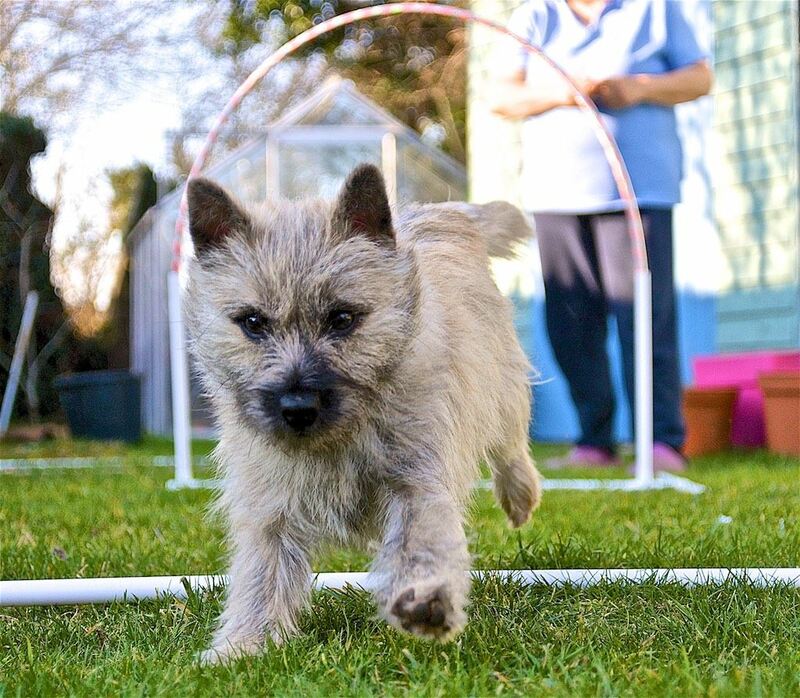 Jennie is a Championship show judge for Cairn Terriers and has exhibited and won at Crufts Dog Show. With her younger dogs, Jennie competes in Heel Work to Music, Agility, Scenting and Rally Obedience. 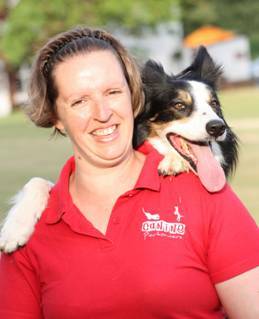 She is a Member and Fully Approved Instructor of The Academy of Dog Training and Behaviour, an Agility Club Approved Basic Instructor as well as Level 1 UK Agility Instructor and an Instructor and Judge for ScentWork UK. Jennie, with her cairn terrier, Tinker were seen on the BBC2 programme 'The Wonder of Dogs' in September 2012 giving assistance in the making of this documentary. Please go to the news page to look at the photo's. The Club is a Kennel Club Good Citizen Dog Scheme Listed Club The Kennel Club Good Citizen Award Scheme . 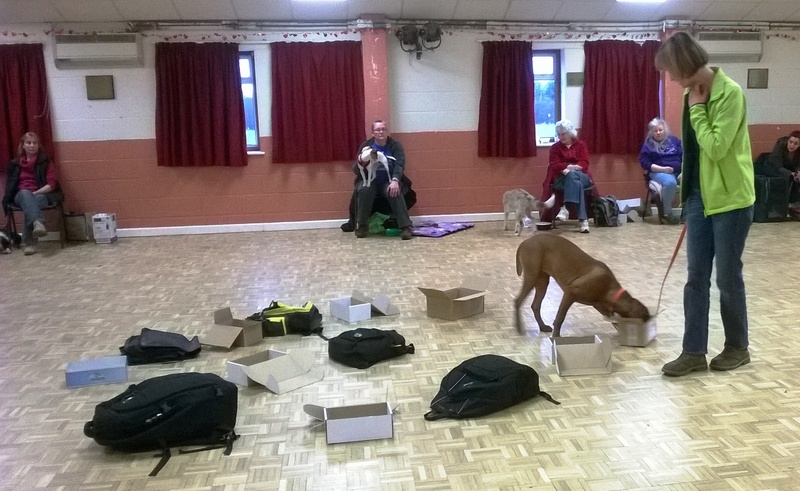 The Puppy, Basic Obedience and Intermediate and Advanced Obedience classes are all held every Thursday evening with the puppy class starting at 6:45 pm in Arncott village hall, Arncott, Bicester. For information about the classes please look in the: welcome leaflet . Hoopers: once a month on a Sunday afternoon. Contact Jennie for dates. This is for dogs of any age (dogs must be over 5 months old) or size, pedigree or cross breed. Any dog can do this as it is low impact exercise for dogs. Dogs run through hoops, tunnels and around barels. This is for dogs of any age or size, pedigree or cross breed. We teach the dogs to find a specific scent. In this case, cloves in a variety of different places. 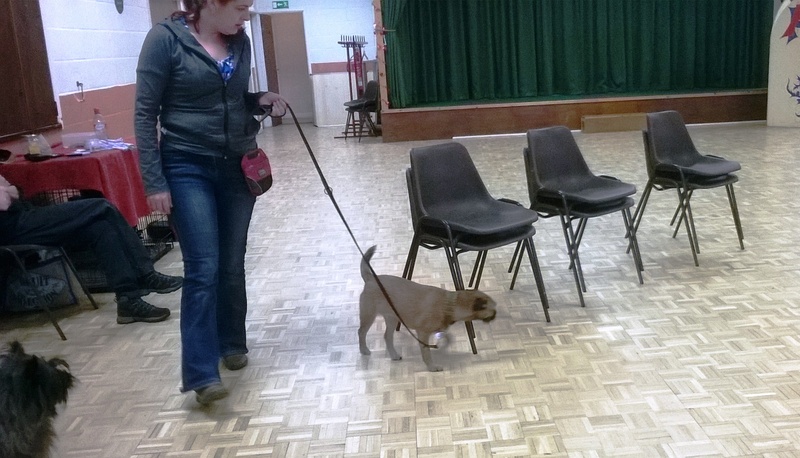 We hold monthly weekend workshops throughout the year where we teach the dogs to find a specific scent e.g. Cloves, in a variety of different places. these can be on tables and chairs, luggage, various articles such as a watering can, a folding chair, or a scent placed on a vehicle. Teach your dog some basic tricks like, give paw, turn in a circle, beg, weave through your legs, etc and put them to music of your choice and to fit your dog. Dogs must be at least 10 months old to start these workshops. The workshops are usually held on a weekend. Why not give a family member or a friend a gift voucher for one of the dog training courses? Please contact Jennie either by e-mail: e-mail Jennie or telephone 01869 322996 for details.